This piece makes me feel cooler just looking at it. 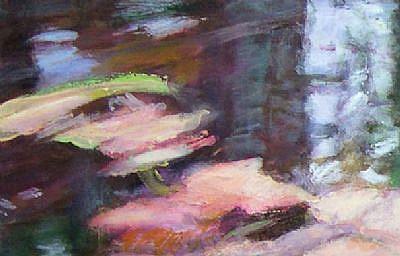 I'm pleased with how it turned out, especially the colors and looseness of the brushstrokes (and finger strokes). I also like the positive/negative space of the piece. 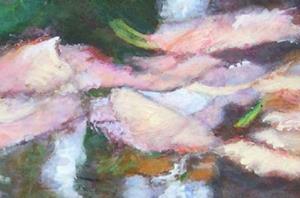 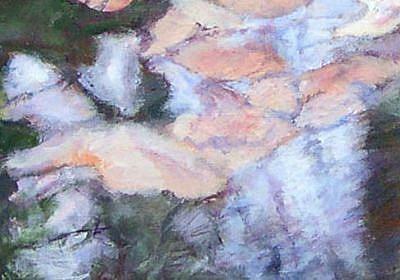 The painting was based on my photographs of lily pads and flowers.